Uncategorized – Page 2 – It's Wine By Me! There’s never a bad time of year to jet across the country to visit California wine country, but one of my favorites is right before the holidays. Most harvest activities are over. The holiday craziness has yet to commence. It’s super quiet and if you’re lucky, the winter rains bring bright green cover crops in the vineyards just as the leaves – in their vibrant yellows, oranges and reds – start to fall to the ground (yes, there are seasons here!). Without a particular mission (except any and all effort to escape my D.C. life), I set up shop at the bottom edge of Napa Valley – allowing easy access to downtown Napa, the length of Napa Valley and the roads leading to Sonoma (city, county and coast). By the time I turned in the rental car at the end of the week, the odometer had 626 extra miles on it. My first stop after checking into the hotel, was a brief visit to Cadet Wine Bar where local winemaker Rory Williams of Calder Wines was pouring flights. (Read more about Rory and his wines here). The small label focuses on local Napa varieties that have been there for decades but tend to get lost among the dense plantings of Cabernet, Merlot and more popular grapes. 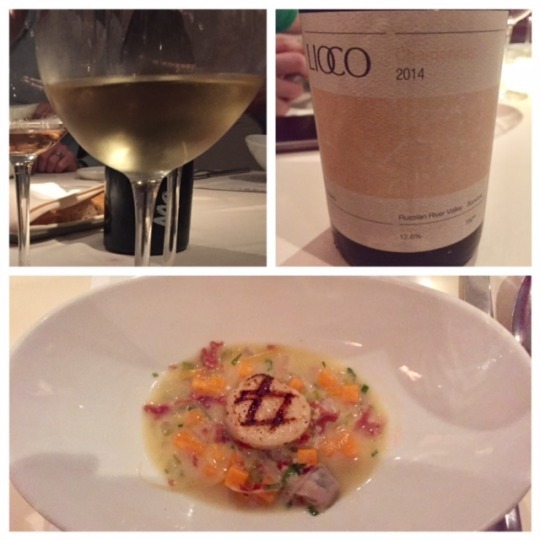 I tasted his Dry Reisling, Chenin Blanc and Charbono. All three were a nice a diversion from what’s typically expected in Napa. The Charbono was especially interesting. A bit brooding with dirty anise and dark fruit chased with black olives. Complete with a “celebrity” sighting of one of the stars of the documentary Somm, Cadet was the perfect start to this trip. 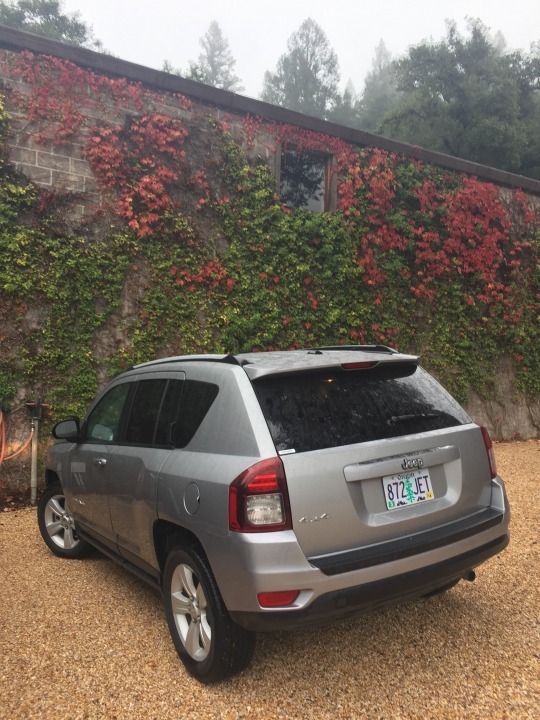 In Napa Valley, I had only one formal visit set up – and that was to see Chateau Boswell, just off the Silverado Trail in St. Helena. 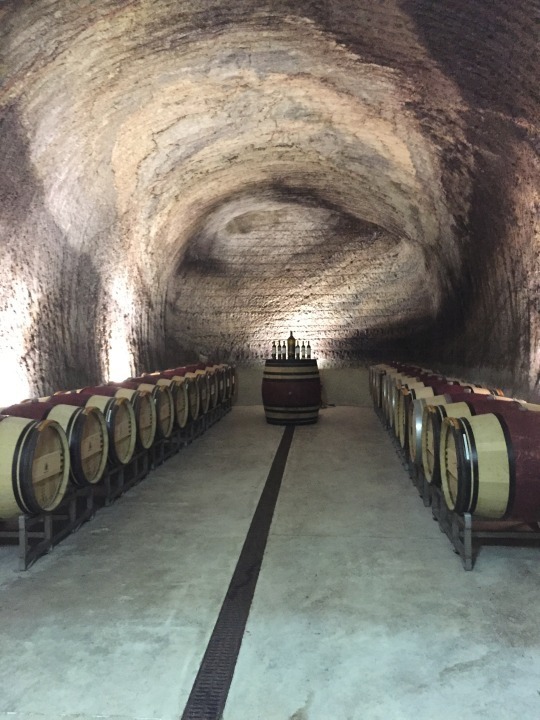 While this boutique winery has been making wine since 1979, in the past couple decades it’s seen the addition of a beautiful cave and facility to make and store its bottles. It also recently added a new winemaker – Phillipe Melka (Food & Wine has a nice profile of him here). The winery was stunning. 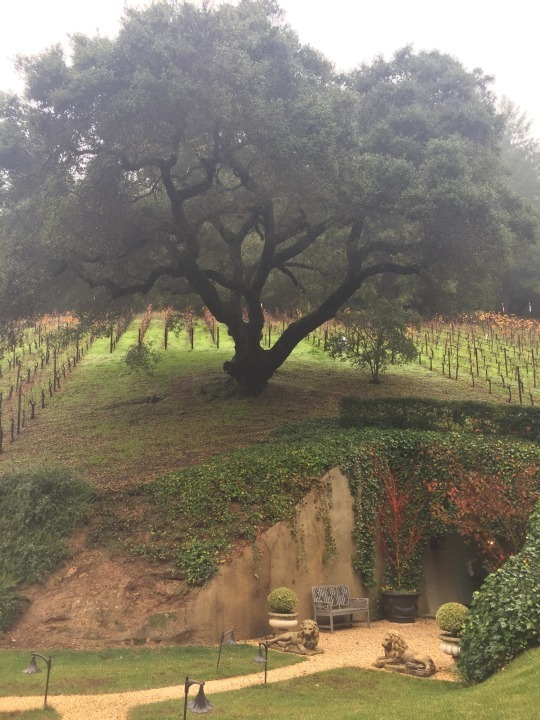 Behind big iron gates and beautifully landscaped grounds, the cave was cut into the bottom of a hillside that featured its Cabernet Sauvignon and Cabernet Franc plantings. When Chateau Boswell’s cave was built under the vineyards, the owners ordered the builders not to disrupt the huge tree on their property. I sampled their Russian River Valley Chardonnay and 2014 Estate Cabernet out of bottle, and tasted a few 2015 Pinot Noirs out of the barrels. With a new winemaker now calling the shots, Chateau Boswell’s 2014 Estate Cabernet has pivoted a bit. Unlike previous years, the latest vintage blends in much more of the Cabernet Franc grown on the property (about 40 percent), giving it an elegant backbone. These wines work to strike a balance between having something that’s pleasurable now, yet can keep a structure to let it properly age. My next set of visits, spanning a couple of days, were with winemakers I’ve come to adore during the past several years. 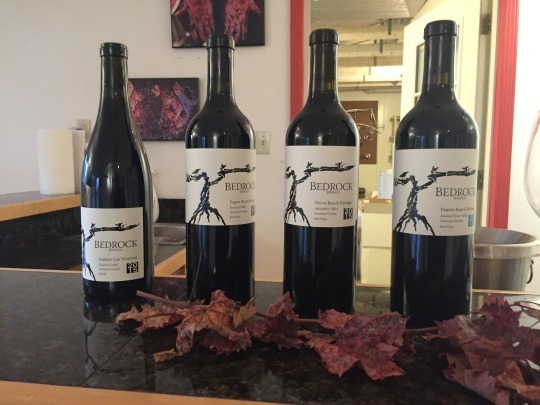 In Glen Ellen, a tiny town in Sonoma County, I visited Chris Cottrell of Bedrock Wine Co. He first took me into the famous 140-year-old Bedrock Vineyard. The old gnarly vines were absolutely stunning, and with the cover crops blooming on this fizzy gray day, the experience just standing there left me nearly speechless. 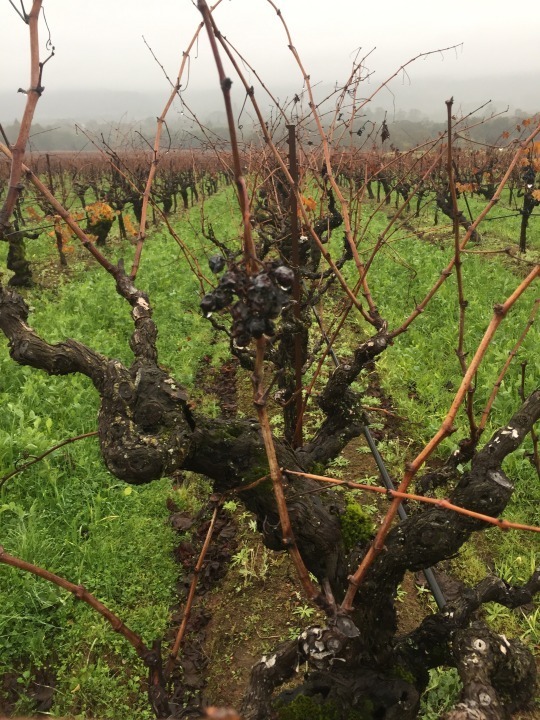 Bedrock Vineyard’s gnarly vines – some still with a bit of dried-up fruit on its vines – are especially stunning on this misty December day. I’ve been buying wine from Bedrock for a few years now and always appreciated their approach to seeking out old vineyards to make their wine. But what I didn’t realize is that they’re not just seeking good fruit. It’s a mission to help change the farming culture so that these vineyards don’t disappear or get replanted with some other crop (recently going so far as to buy a vineyard). Using science as the basis for sustainable farming techniques, the Bedrock team is eager to help these old vineyards become prosperous again. Along the way, Bedrock creates 30 or 40 different wines. 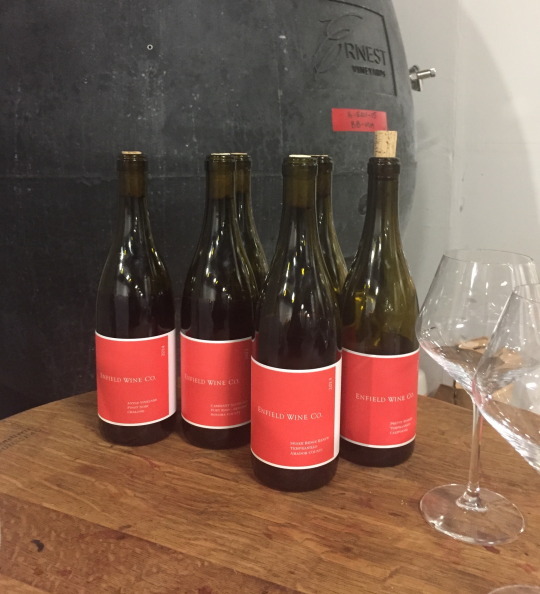 We tasted through a half a dozen – each one expressing beautiful California fruit with a balance of all those earthy morsels that transport you back to the vineyard. Inside Bedrock’s original tasting room next to Bedrock Vineyard. 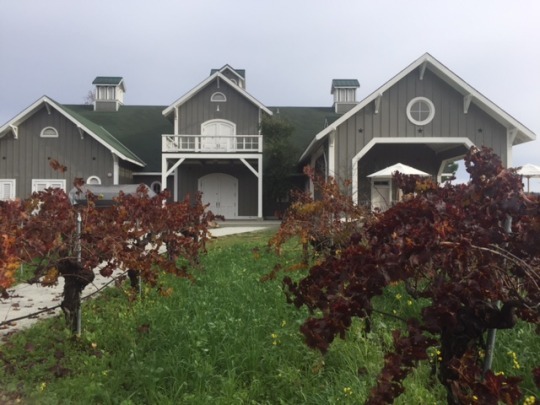 The team also recently purchased a historic building to build a new tasting room. While being outside in the vineyards is wonderful, it’s just as invigorating to meet with winemakers in their other natural habitat: inside the winery. That’s why visiting with John Lockwood at Enfield Wine Co. is always a treat. (to learn more, read this profile or listen to this podcast). He makes his wine at Punchdown Cellars in Santa Rosa, a custom crush facility which leases out space and equipment to winemakers. 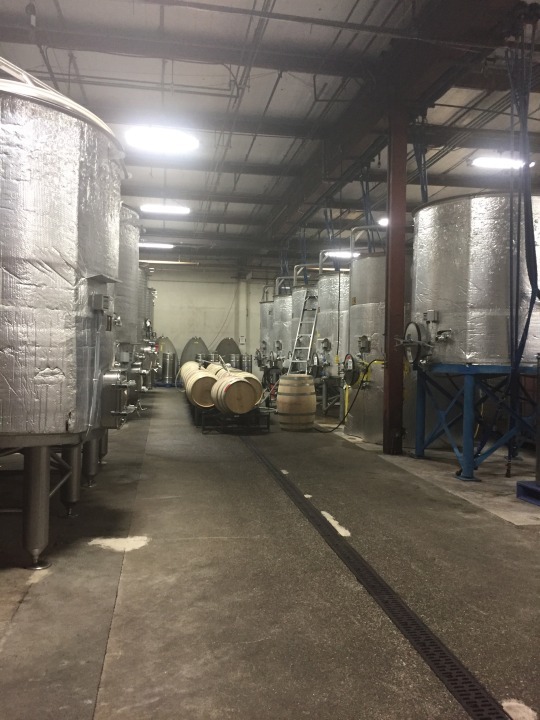 This is my second visit to Punchdown and it’s always fun to see the racks of barrels, the fermenting tanks and to taste wine surrounded by people getting their hands dirty and doing the work. Fermenting tanks at Punchdown Cellars, including some concrete eggs way at the end of the aisle. John set up his wines for me in a quietish corner and we went through most of his line-up. Whether it’s his Tempranillo, Pinot Noir, Syrah or Cabernet, his ability to translate each vineyard into elegant wines, made it difficult to not guzzle through each bottle right then and there. Tasting through Enfield’s wines at Punchdown Cellars. From Santa Rosa, I drove to Sebastapol – which also meant guzzling through Enfield was not a viable option. But the restraint was worth it so I could visit with Katy Wilson. And while she was named a winemaker to watch in 2013, four years later, I’d argue, she’s still important to pay attention to. I’ve met her a few times at tastings here on the east coast, where she often pours her own label with the help of her dad. We met inside Claypool Cellars’s tasting room – a renovated train car inside a business and shopping center. She makes wine for several labels including Banshee and Claypool, but it’s her own label, that I’ve always found swoon-worthy. Named for her grandmother, LaRue’s Pinot Noirs are some of the most delicate I’ve had from the Sonoma Coast. Katie creates wines that can still retain their power, yet showcase layers of refined complexity. 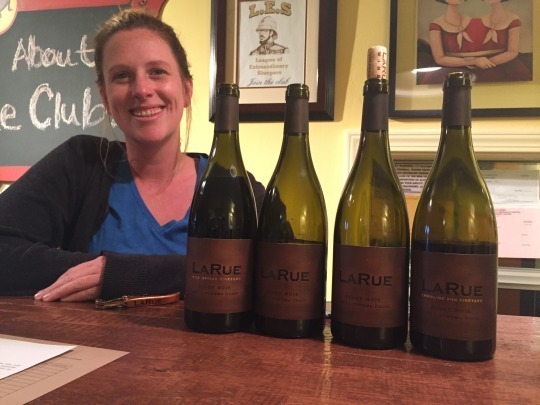 Katy Wilson of LaRue wines mostly focus on Sonoma Coast Pinot Noir. Its having these personalized tasting opportunities which make visiting wine country in December so special. The winemakers are generally relaxed and have the time to answer questions and discuss their passion. It doesn’t matter that the vines aren’t lush with leaves and bunches of grapes, or the sun isn’t shining, or if I’m standing in a tasting room with shoes still muddied from trampling through wet vineyards. That one-on-one attention creates the ultimate oasis. Now that it’s nearly October, it’s time to book my next December trip! Cheers! 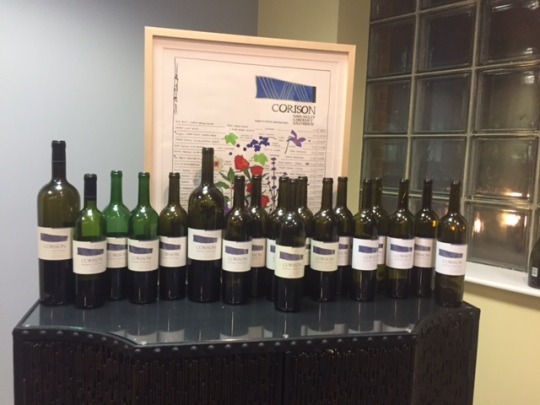 All 16 vintages of Corison Kronos Cabernet Sauvignon, with a few extra bottles thrown inf or good measure. A semi-demolished flight of Corison Kronos wines. The Kronos Vineyard is literally in Cathy Corison’s backyard. This is the back of the winery. 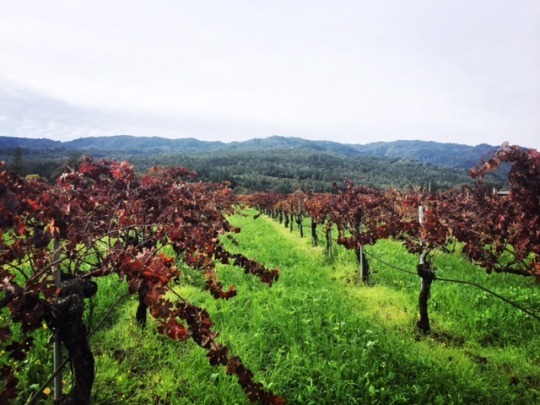 Standing in the Kronos Vineyard looking out to the Mayacamas Mountains on a misty day in December, 2016. We modeled this year’s tasting after last year’s. There were a handful of flights with all 16 vintages of the Kronos Vineyard from 1996 to 2012. Each wine was poured blind, but each flight was loosely in chronological order from oldest to youngest. 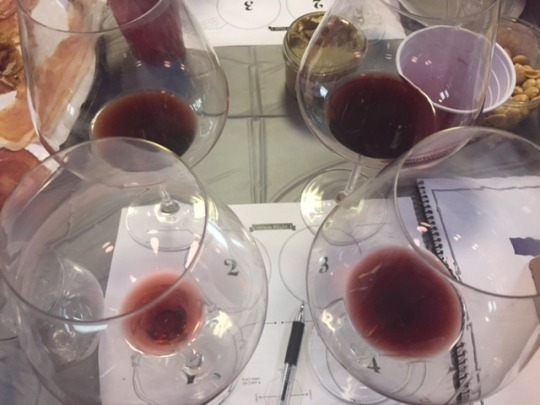 A few ringers were included in the mix including two pours from the same vintage – one from the top half and other from the bottom half of a magnum, and a few of the Napa Valley Cabernets were compared against the Kronos. We had two separate bottles of 2004, so those were poured in separate glasses, as well, making for an interesting lesson in bottle variation. Just like last year, there were no clear favorites, but together, the 16 vintages told a bigger story – a consistent beauty was strung from bottle to bottle. It’s impossible to escape the violets, dust and undertones of herbal mints that at times mixed with some chocolate (Junior Mints, anyone?). I hit palate fatigue before the final flight. Despite my best efforts to spit and snack on the cheeses and charcuterie we prepared, by the last flight, there was nothing but the violets, dust and herbal mints coating my throat (which is certainly not a bad thing!). But there was something magical going on in the early parts of the aughts. We were told that Cathy’s favorite Kronos vintage was 2001, but 2002 and 2003 were slightly lifted from the pack for me. Whether that’s because those bottles had the right amount of age on it for my personal liking, or it was something within the vintages themselves, it’s hard to say. It’s worth noting, however, that thanks to a very cool and rainy year – and what Cathy has called a challenging year in the vineyard – the 2011 bottle was the very definition of letting a wine speak for its vintage. It tasted significantly older – maybe by a decade – than its actual year. A bit darker and more savory than the others, but still elegant and restrained. Emanating from some of the darker more savory notes were dusty violets, which reminded one of my friends of Choward’s Violet Mints. Having the opportunity to taste through almost all of the Corison wines – both the Napa Valley and Kronos bottles – is truly an honor. While it’s obvious that aging these wines only brings out more complexity, more structure and more textured flavors, the trouble will always be not popping the cork too early, as they are certainly just as enjoyable now as they will be in years to come. 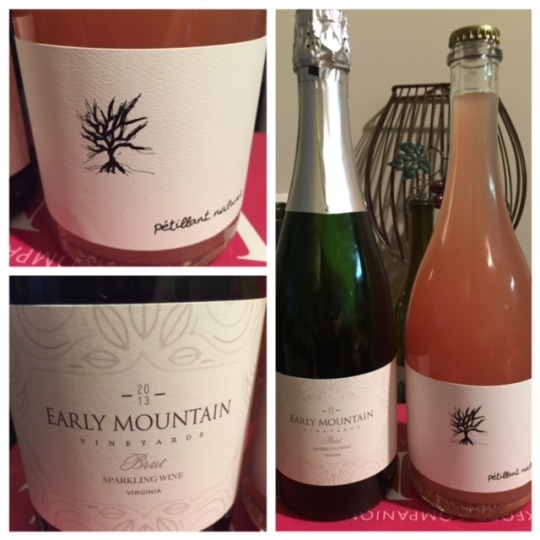 Earlier this week, Pineapple D.C. – a networking group for women in the food community who want to connect with the “good food” movement – hosted an interesting talk on natural wine with Lisa Hinton, the winemaker for Old Westminster Winery in Maryland. That’s right. I said Maryland. And I said natural wine. I must admit, despite knowing that wineries exist in Maryland, it’s not something that I’ve actively explored. Not to mention, I’m a bit skeptical when someone mentions natural wine in a region not heavily experienced with vineyards and wine. 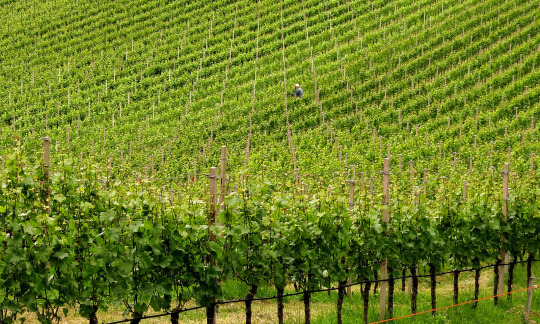 Good natural wines rely so heavily on its terroir. Does that really exist in Maryland? At the end this two-hour discussion and tasting, Old Westminster Winery convinced me the answer is Yes. Old Westminster Winery is a bit different than other small wineries I’ve been introduced to so far. It wasn’t so much a love of wine that sparked the three twenty-something siblings to start making wine, but a love and loyalty for family. When their parents threatened to sell the farm they grew up in, the trio searched for a solution to hold on to the property in Westminster, Md., (about an hour northwest of Baltimore) and grow it into a viable business. Lisa graduated college with a chemistry degree, while her siblings focused on business and marketing. After a bit of research, winemaking seemed like a logical use of their combined talents. While they’ve planted and harvested grapes on their own property since 2011, Lisa said about 60 percent of their fruit comes from other Maryland vineyards. In the future, that may change a bit thanks to the purchase of the Burnt Hill property in Clarksburg, Md. The land was sought out for its particular slope and soil composition. Lisa said they’re planning on farming the land using biodynamic methods, in part because they believe in giving as much to the land before starting to take from it. The winery has focused on making natural wines since its inception. Lisa said she defines that as low intervention wines that express both the place and time that they came from. She believes both natural and added sulfur are necessary in making wine to ensure it doesn’t turn to vinegar, and acknowledges other winemaking techniques are needed from time to time to combat mildew, mold or other issues that can vary vintage to vintage. Wineries in Maryland have existed for decades (I even once wrote about one for The Washington Post almost 14 years ago), but it’s really been this century, when the numbers have increased significantly (take a look at the Maryland Wine Association website, which counts about 70 established wineries between 1945 and 2014. You can see in this historical timeline, how the numbers of wineries have grown). Perhaps the growth is hinged on the increasing success of Virginia wines? Lisa noted that the mid-Atlantic has similar climate conditions as Bordeaux, which makes growing varieties like Cabernet Franc, Cabernet Sauvignon viable. Old Westminster Winery has also had luck Alberiño (a white Spanish grape) and even bringing Barbera (an Italian variety) into their red blends. The Maryland Wine Association also noted Maryland can be compared to the climates of Portugal, Spain, Southern Italy and Greece (that would make sense why the Alberiño and Barbera do well!). In Old Westminster’s quest to make natural wines, its break-out stars are the pet nats. Wine writer Jon Bonné recently called their Albariño version an outlier among America’s great pet nats. During the talk, we tasted one made from Syrah grapes. The cloudy peachy pink juice’s fruit rose above its effervescence backbone, making it a little too easy to drink. 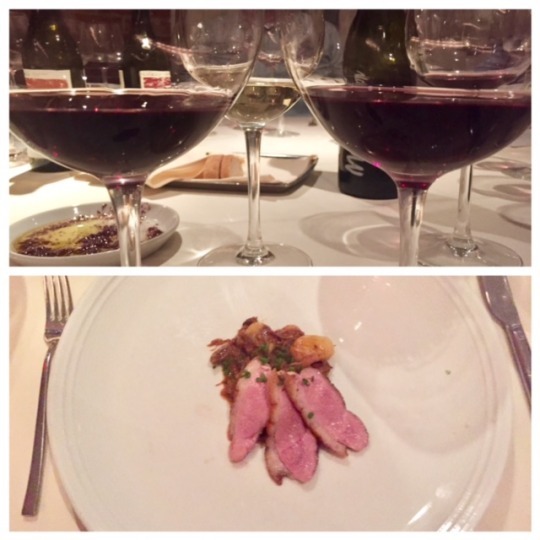 The other two wines poured that evening were the 2014 Anthem red blend, with a mix of Cabernet Franc, Cabernet Sauvignon and Syrah and the 2014 Channery Hill, which blends the same three grapes, with some Barbera. Both wines had a nice amount of dark fruit, a bit of anise and some slight minerality if you paid really close attention to what you were sipping. Channery Hill was slightly lighter with a bit more acid (I’m guessing we can thank the Barbera for that). Old Westminster’s production numbers per variety are low: No more than 100 cases of each wine are made. And most are sold through their wine club or people or visit their tasting room. Experimentation remains a top value for the young winery. For example, this coming vintage, they plan to leave their wines unfiltered. If it doesn’t work the way they like, Lisa said, they’ll go back to using filters next year. Their mission is to learn how to best express the Maryland terroir. I asked Lisa if there are any winemakers or wineries that inspire their work, but she wouldn’t answer with any specifics. She said while there are many wines she enjoys drinking, she knows attempting to mimic any of those traits would be futile to creating wines distinctive of time and place. Hi! There Will Be More To Come! p.s. don’t forget my Instagram and Delectable accounts are always a good place to keep tabs on what I’m up to or drinking! Wine in Washington, D.C., may be on the verge of getting an interesting moment. It makes sense. As the city’s dining options have drastically evolved and gained national attention, the appetite for more diversity in wine is a logical next step. The city has always had restaurants with reliable high-end lists, shops to find good wine and places to go have a glass with friends. Restaurants like The Red Hen, Ripple, Proof, The Partisan, Le Diplomate and Tail Up Goat are great options. 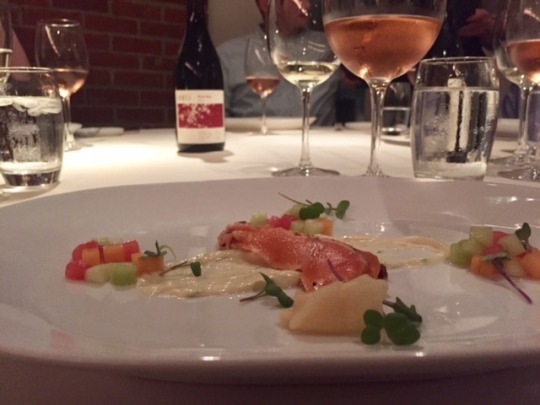 While wine bars like Cork, Vinoteca and Eno have served the city’s millennial population well. But seeking out geekier labels or getting exposure to something less mainstream can sometimes be a challenge if you don’t regularly travel to New York City or actively follow the wine scene on social media. projects have recently been announced. In journalism, we say that it takes three examples before you can start investigating something as a trend – so now that there are three, it’s time to start keeping track of what’s to come. an opening date or location. soon after he started, he announced he’s also planning to open his own wine bar. Springtime in Shaw is what’s been reported so far. Just this week, news that Dio Wine Bar, will be coming to H Street NE. Stacey Khoury-Diaz also plans to focus on natural wine, taking inspiration from great New York places for natural wine, such as Ten Bells and Rouge Tomate. There are also plans from The Dabney to open a wine bar in its basement. 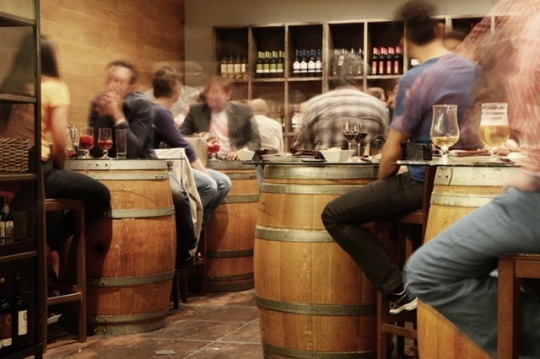 It’s going to be interesting to see if D.C. can handle this much wine, and whether these establishments will appeal to those of us hoping to tip the city’s wine scene a bit in the geekier direction. Since New Year’s Eve is always grounds to break out #allthebubbles, I decided to blind my friends with a duo recently sent my way. * I wanted to see how the Brut Sparkling would compare with more traditional bubbles being brought to the party. That included Champagnes like Salon and Agrapart & Fils and some exceptional California bubbles like Ultramarine and Dirty & Rowdy’s Traditional Method Pinot Blanc. I only meant to blind them with the Brut, but in order to keep it a secret, I tin-foiled the label of the second bottle, too. The 2013 Brut Sparkling held up exactly as you would expect a well-made sparkling wine to show. Its bubbles were interlaced with precise apple and citrus flavors made possible from its 100 percent Chardonnay fruit.The acidity provided an astute structure. But what garnered a lot of chatter and curiosity among the table-full of impressive wines (including a Ridge Merlot, Corison and Dunn Cabernets, a Quintarelli Valpolicella and a magnum of Lapierre Morgon) was a 2016 Pét-Nat Rosé Syrah (yes, you read that right, 2016! It’s meant to be drunk young). As one friend asked after the bottles were revealed: “Who knew Virginia could make a geek wine!” But Early Mountain Vineyards near Charlottesville did! Everything from its simplistic contemporary and artistic label, to the cloudy salmon color moving through the bottle like a lava lamp piqued our senses and cerebral curiosities. Made as a Pétillant-naturel (commonly called Pét-Nat), the winemakers cap off the bottle before it finishes its fermentation process trapping the remaining carbon dioxide, creating those tingling tiny effervescent bubbles. You won’t find a cork in these bottles! The active fermentation still happening in the bottle also contributes to its cloudy appearance. In this particular bottle, I tasted an interesting creaminess that I don’t usually associate with wine. Redish-pink fruit underneath pineapple flavors with a dash of bubblegum were apparent on the palate. 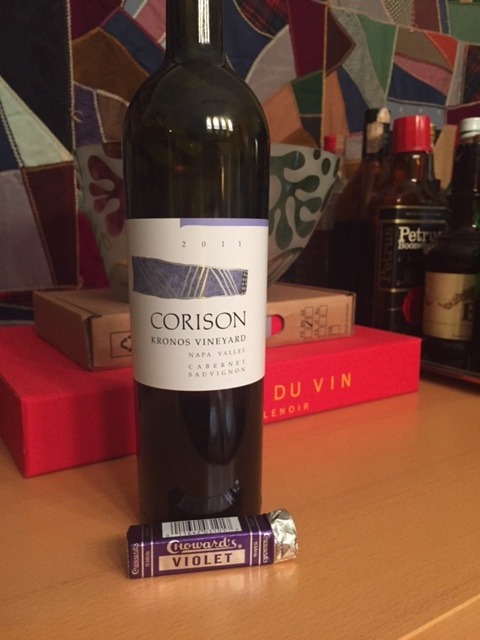 The wine was neither sweet nor bitter. Just fun, drinkable juice that had us all happy to be swirling it around in our glass. * Full disclosure: These bottles were sent to me as samples from the winery. I haven’t stated a sample policy on this blog yet, but I generally have not accepted them until now to keep all posts here as objective as I can. In the event interesting bottles are offered and worth exploring on this blog, I will share it with friends, and let their reactions speak for the wine as I’ve done here. 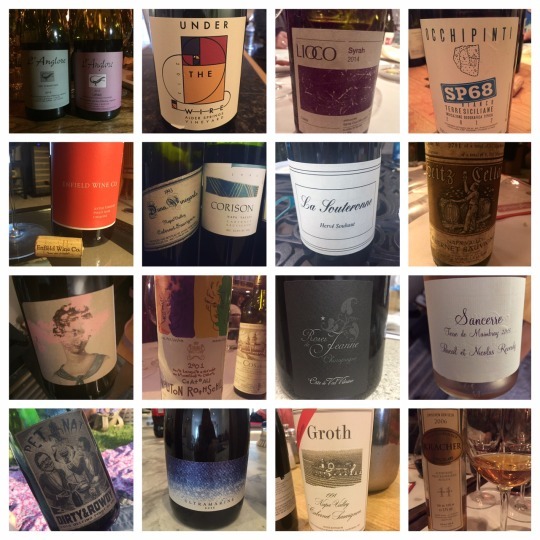 I’m long overdue for a post and have much to write about (including a recap from a week-long visit to Napa and Sonoma), but I wanted to get in here before the year ends to drop off this collage of some of my favorite wines from 2016. As easy as it is to bemoan the state of the world, it should be just as easy to keep thinking about the good moments. And that’s where wine fits in. Behind each bottle is a memory, a curiosity, something beautiful, a friendship, an experience. There’s talented artistry under each cork, along with a mystery and too often than not, a lot of smiles and laughter. These were only but a few of my highlights (and in no particular order). Thanks for joining me on this continuing journey, I promise to be back in 2017 with even more wine musings. 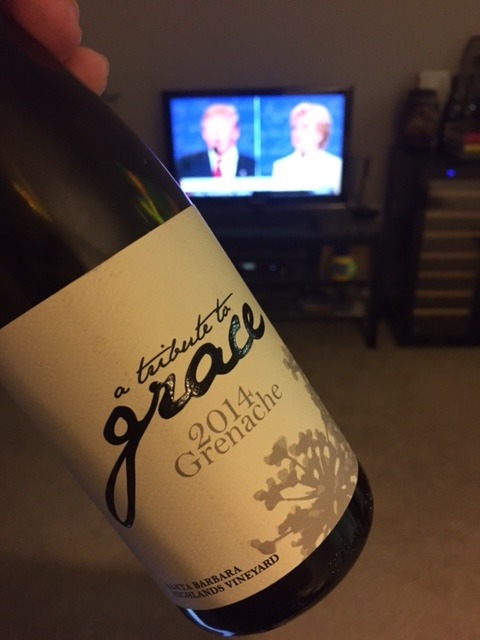 If Tuesday night promises to be as topsy-turvy and obscenity inducing as the entire 2016 election cycle has been, then you’re going to need something to drink to make it through a long night of news watching, punditry, state-by-state results and twitter streaming. whatever may happen. Let’s be honest, we’re all in need of *something* to soothe our souls. Start with something light, low alcoholic and slightly celebratory. It’s better to have some optimism at some point, than none at all. 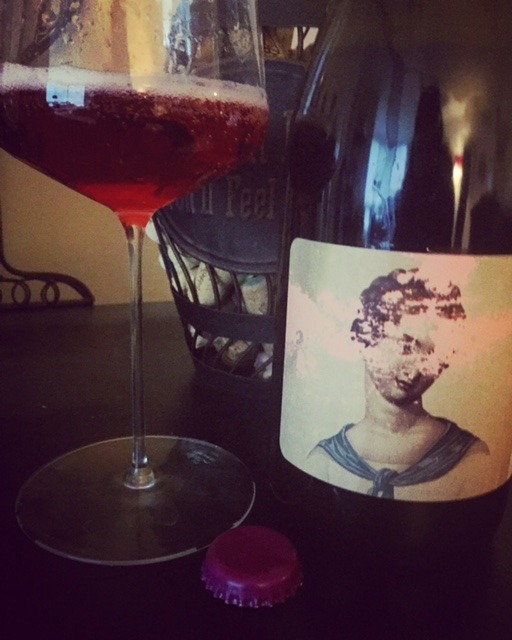 Consider a fun Pet-Nat. In my fridge, there’s a 2014 Cruse Sparkling Valdiguie that has just the right amount of fresh fizziness and bright red fruit. With energy running through its spine, it’s lively and easy to drink. serious with your wine. We’ve got a long night ahead of us! be anything that makes you happy – but seeing we’re unsure of where this night may go, I’d probably stick with something not too heavy. A favorite Pinot Noir or Rhone-style wine might do. psychologically bring about some calm. If you want, take it a step further and open up a bottle of Hope & Grace Pinot Noir. These California pinots consist of lush dark fruit and strong finishes. By this time in the evening, you can only hope with a little bit of grace, that your candidate will have a similar finish (see what I did there?). Perhaps the same can be said about the aftermath of this election season? you grounded, while the older vintage will help hearken back to happier times when election day didn’t quite feel like a doomsday event. 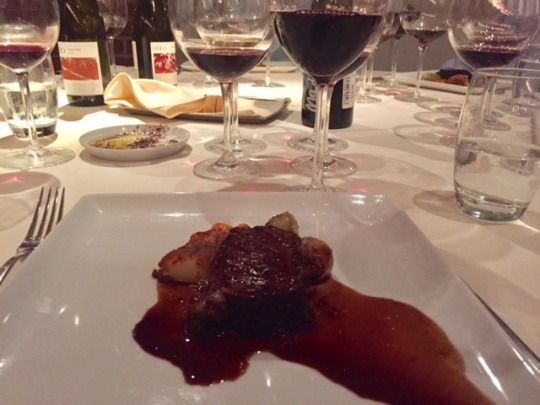 Recently, I tasted some 1990s Napa Cabernets that would work wonderfully: Both the Dunn and Corison are beautifully made wines and prove that power and finesse can live in harmony in a singleventity. Finally, when the results are in, you have but two choices: Pop some Champagne to celebrate and breathe a sigh of relief, or now’s the time to reach for that hard booze – whatever it will take to get you through the next four years will do! That gamble is paying off as Lioco wines can now be found as far away as Japan, and are distributed across 30 states within the U.S. 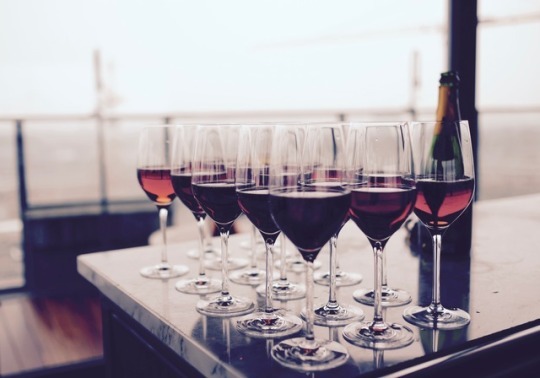 The wines, which include Carignan, Chardonnay, Pinot Noir and Syrah are made of fruit purchased from distinguished vineyards from such places as the Sonoma Coast and Mendocino. With an intense focus on cool climate and picking early enough to retain the fruit’s acidity, these aromatic wines showcase its terroir and are created to pair with food (although for any wine geek, these wines on their own provide quite a bit of intellectual fodder to enjoy on their own). 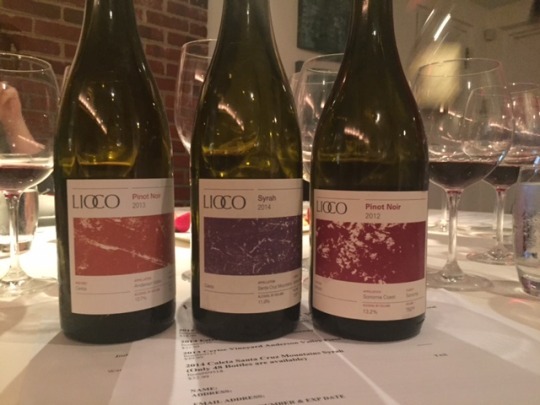 I’ve been a fan of Lioco wines for a while, so it was a real treat to have Matt here in D.C. A big thank you to him, Andy and Black Salt for the superb evening! I was at a table with five other friends, and as is usually the case, combing good friends while sharing delicious wine and food, in the presence of talented individuals makes for an evening that will be impossible to forget! Cheers! While catching up on wine news today via Google, I stumbled on this Vice piece on how climate change is impacting the wine industry. It’s not a new story, but it’s always a good reminder at how the elixir that lubricates our meals, or our interactions with friends or becomes a healer in stressful times, is so closely connected to the earth. But despite the getting-close-to-apocalyptic topic, there’s a stunning image half down the page. Clicking on the Flckr photo credit led me to Mathias Liebling’s page, where I discovered another photo he posted (It’s worth clicking over to it so you can see it in its original size). Instantly, the vibrant rows of vines, with the lone vineyard worker, took me to a happy place and provided a tiny reminder that there’s so many things bigger in this world than us. A rare moment of zen, if you will. Enjoy!